The key to success is not how you see yourself. It is how others see you, speak of you and think of you. Over the last year, I have had the opportunity to work with some fabulous companies and look at what their social media map had to say about them through their own words and the eyes and words of others. As part of our annual CorePurpose brand assessment, I pulled the text of the CorePurpose Blog, CorePurpose website, the @Replies from all five of our primary Twitter Ids along with other online sites and mentions and ran them through a program to get the top words in a cloud. What you see is what we got. 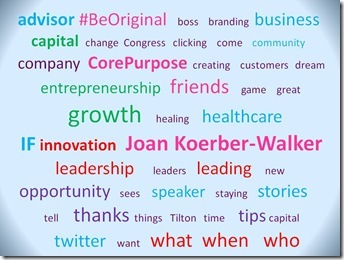 If you were to do the same exercise for your company, what words would you find? Your brand is how OTHERS see you. Social Media and the wider web is a powerful tool. Today more that ever, as entrepreneurs, marketers, and individuals, we have the opportunity to help shape our brands. What is out there is at the fingertips of every customer, investor, employee and employer. Our words and actions shape how others see us. What we say, what we write and what we do form a body of evidence that will follow us for a very long time. What we don’t say and don’t do can have an equal impact. Your LinkedIn profile is your chance to tell your professional story. Make sure it is complete and accurate. Your LinkedIn connections are your professional network. Guard them well. Use judgment in making and accepting connections and keep it professional. You never know when someone might want to check you out. On the personal side, how you interact with your friends says a lot about who you are. Are you sharing and caring? Funny or smart? Facebook is a great place to let your hair down and interact – but remember to use a bit of tact. Professional contacts just might stop by to see the “real” you. DON’T embarrass yourself by sharing things you might wish you had not later… and that goes for your photos too! For your business, project, or group, set up a Facebook page. It’s a great way to share news, ask for feedback and interact with people who have something to share about what matters most to your business or organization. What are you doing, reading or thinking about? Twitter is a great way to share it and find out what is interesting to others too. With a wide range of tools and apps to help you find your way around, Twitter let’s you connect to a larger world than the one you may have built face to face. If you are interesting and willing to reach out and show interest in others, interesting people WILL find you and you can find them too. Twitter is the place to be inclusive. Cast a wide net and you just might connect with people that you would never otherwise get a chance to meet and share ideas with. Have something to say or share? Blog it. Be creative and consistent. You might be surprised as to who might be interested and willing to join the conversation. Let people know when you share something on your blog with a Twitter update or Facebook post. There are even tools that will do this for you automatically. You have gifts and knowledge to share. Don’t be stingy. Put it out there. Over 25 years ago, a friend shared with me that the day will come when if you do not have a website, no one will believe your company is “real”. That day has definitely arrived and with so many easy and inexpensive ways to build one, there is no excuse not to. Whether your website is a simple 5 page brochure on your products and services or something much more sophisticated, your website tells people who you are and what you have to offer. Don’t make them guess. They probably won’t bother. The power of any tool lies in the hand of the user. What you see above is a selection of the most common tools you can use to build your personal or business brand in today’s socially connected world. There are many, many more. But a tool is only a tool. It becomes useful in the hands of the craftsman. (Yes, that’s you.) We use tools to build things up and tear things down. How you use your tools will say a lot about how others see you. Be remarkable and people will build your brand for you. Be invisible and your brand will be too. Don’t assume anything. Check! Audit your social media presence. Track what people are saying and be sure to respond with a “thank you” when it’s positive and a solution to the problem when it’s not. When you do, you just might find that who you or your company have to offer is written in the clouds. 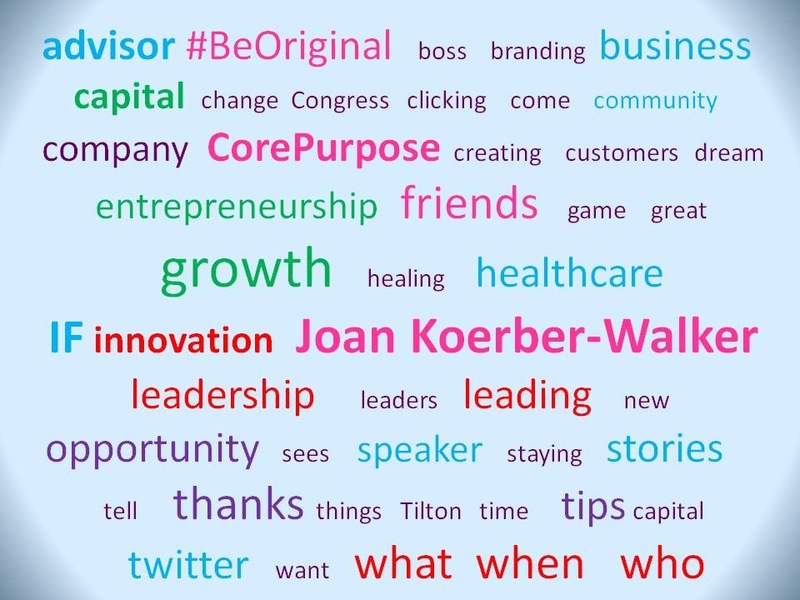 An entrepreneur, author, speaker and corporate advisor, Joan Koerber-Walker’s journey has spanned from corporate America to entrepreneurship and non-profits as well as to community leadership and into the halls of Washington D.C. Beginning on 2009, she decided to learn more about the evolving world of social media. Today she is connected to a community of over 150,000 and the lessons she has learned have been profiled in The Social Media Bible and The ROI of Social Media. You can find more posts about what she has learned along the way by clicking here. 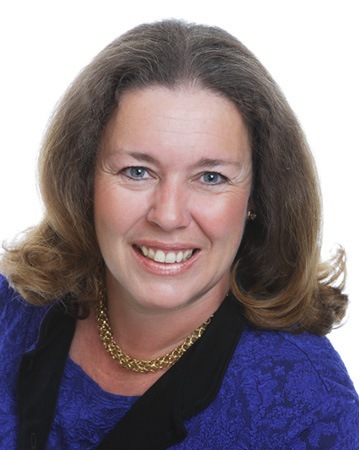 To learn more about how CorePurpose and the CoreAlliance can help you grow your business in 2011, you can contact her by clicking here. Posted in Blog, Growth and tagged Build your online brand presence, Business Advisory, Business Branding, business tips, career tips, CorePurpose, CorePurpose Blog, Facebook, Joan Koerber-Walker, LinkedIn for Business, Listening to customers, Personal Branding, Social Media Audit, Success Tips, The ROI of Social Media, The Social Media Bible, Twitter, Using Social Media.